Connection Hub Centralizes Your Data & Communication. 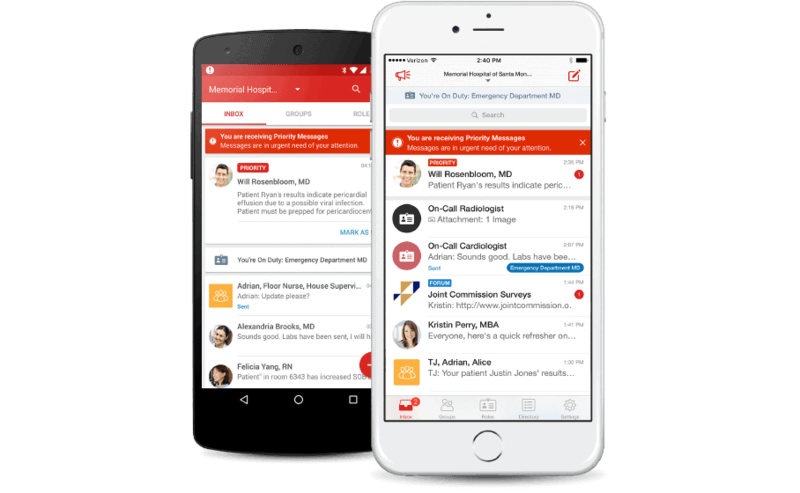 With Connection Hub, team communication meets real-time patient data on a single platform. That means only the most relevant information is surfaced and made actionable at the point of care. 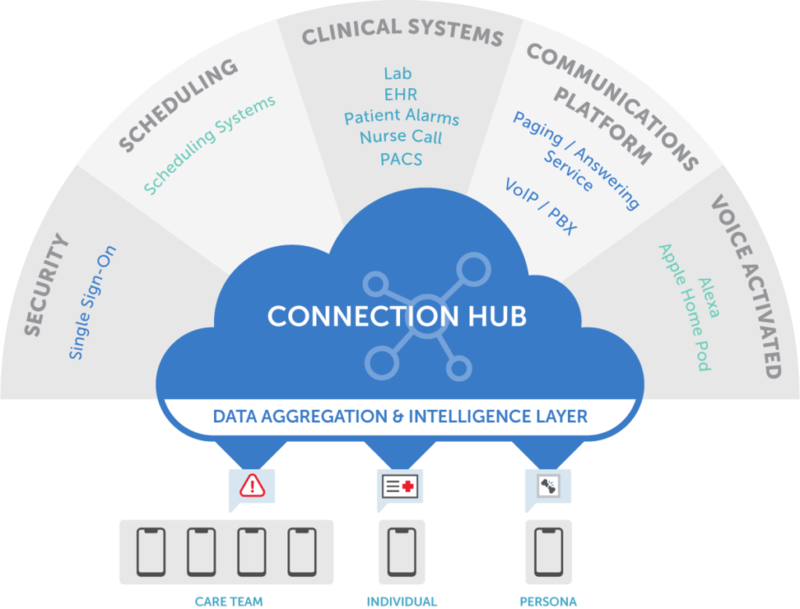 Connection Hub centralizes and intelligently routes patient data from critical systems like the EHR or nurse call and pushes it to the smartphone in where it can be read, shared, and acted upon for faster, better quality patient care. 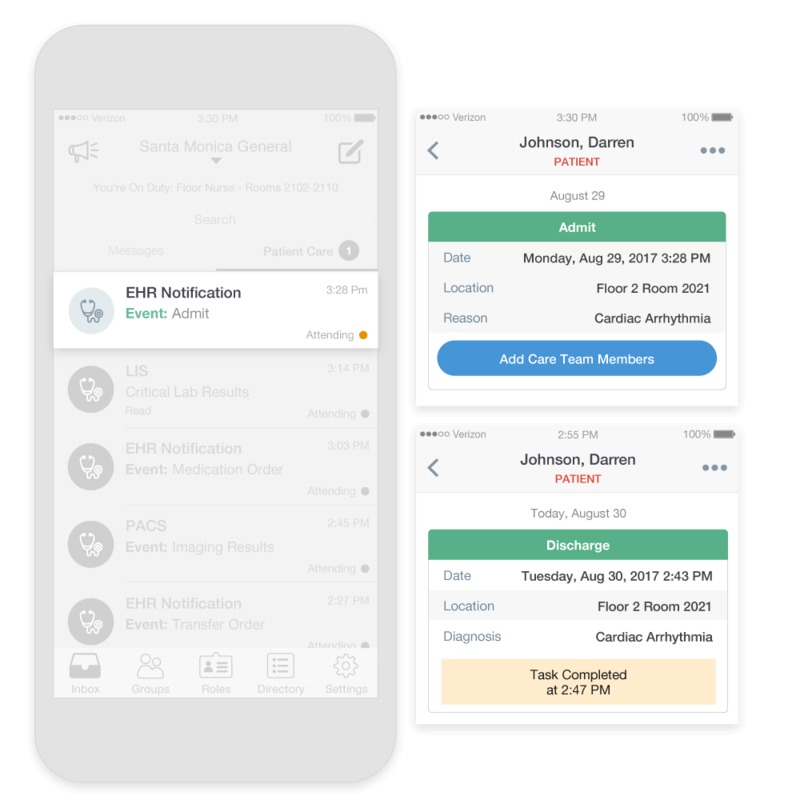 TigerConnect’s EHR integration services puts the patient at the center of the care experience by providing detailed alerts around admissions, discharges, transfers, and care team management. 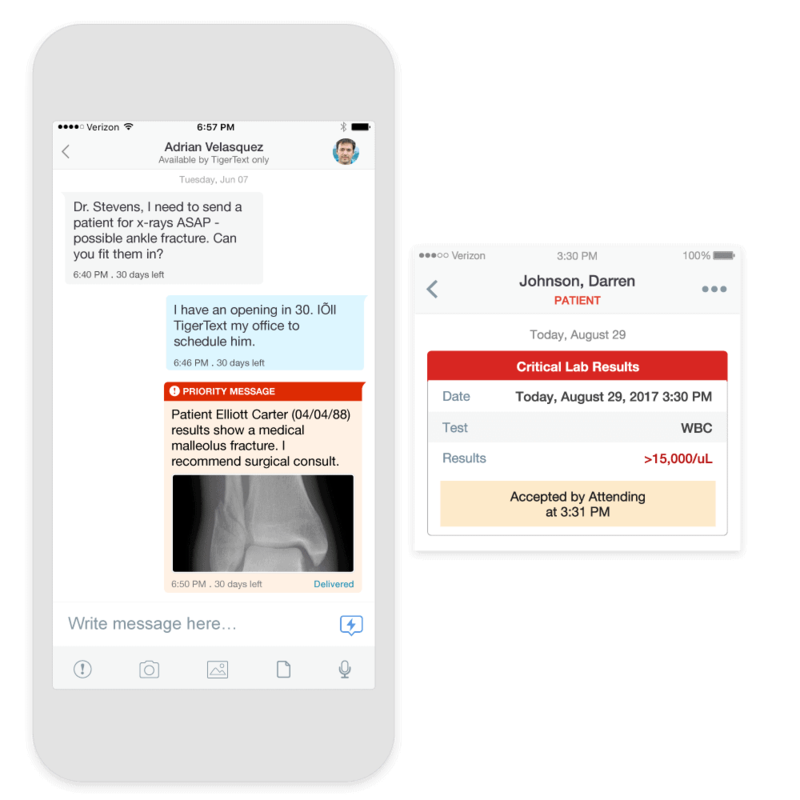 Interactive messages displayed in the message feed make it easy for staff to coordinate efforts at each phase of care and newly added members can see prior conversations around the patient from the moment they were admitted. Counter alarm fatigue by connecting TigerConnect to your Nurse Call system so alerts can be automated to a nurse’s smartphone or workstation on wheels. 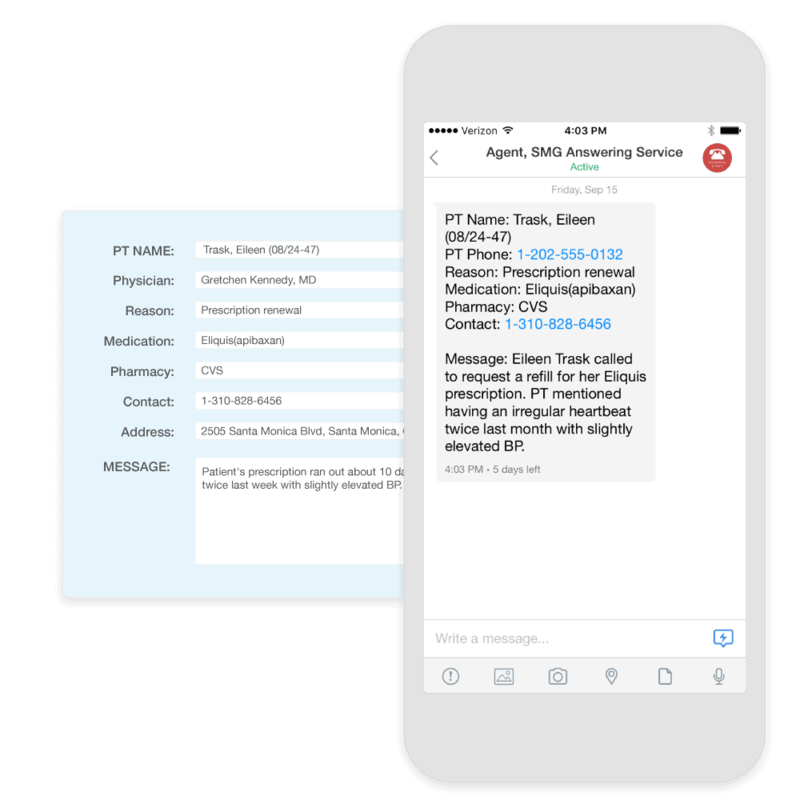 Going beyond a simple audible alert, detailed messages provide “double coverage”, helping nurses quickly identify the nature of a patient’s request and coordinate an appropriate response. 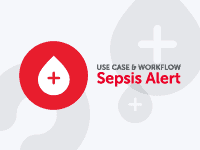 Prioritizing nurse call requests can be challenging when every alert looks the same. 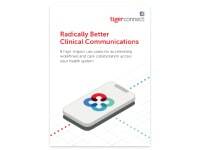 TigerConnect’s VoIP-powered Virtualized Nurse Call capability gives nurses the power to distinguish between critical alarms and routine requests. 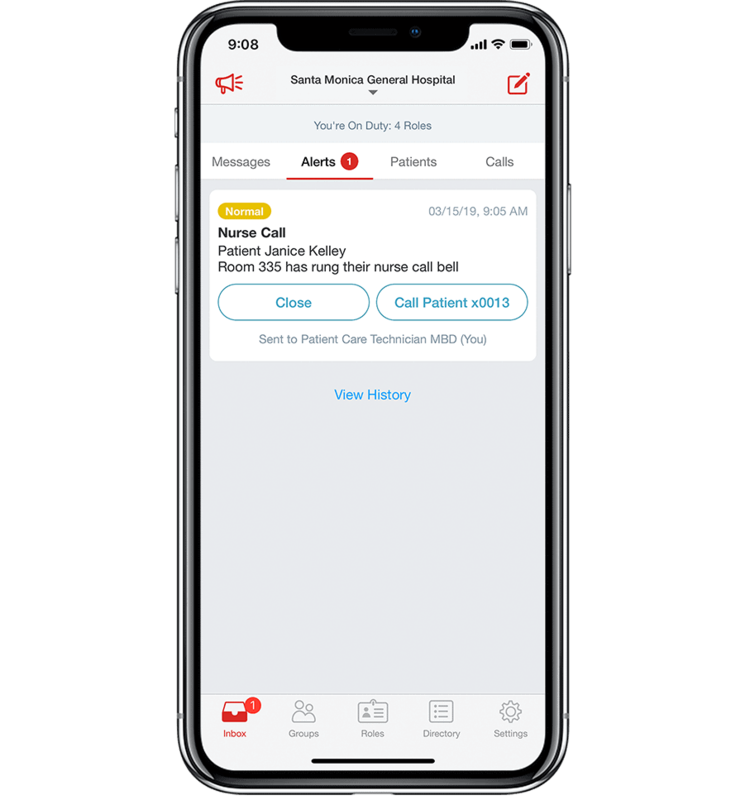 A PBX integration lets nurses receive, route, and respond to real-time call bell alerts by speaking to patients directly through a bedside speaker or phone. Unsure who the On-Call Pulmonologist is at 3 AM? TigerFlow integrates with your scheduling system so staff can quickly look up and message colleagues by their role – no name required. 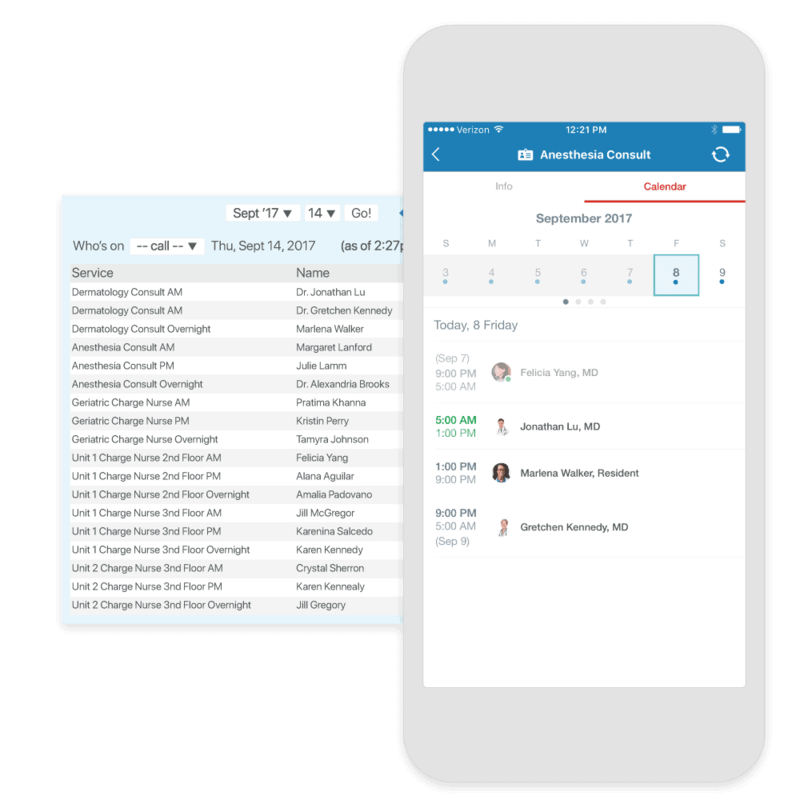 Automated shift assignments log users in and out of roles automatically using data from your scheduling system. The handy calendar view lets staff see schedules up to four weeks out. Deliver better care faster with real-time access to images and results. 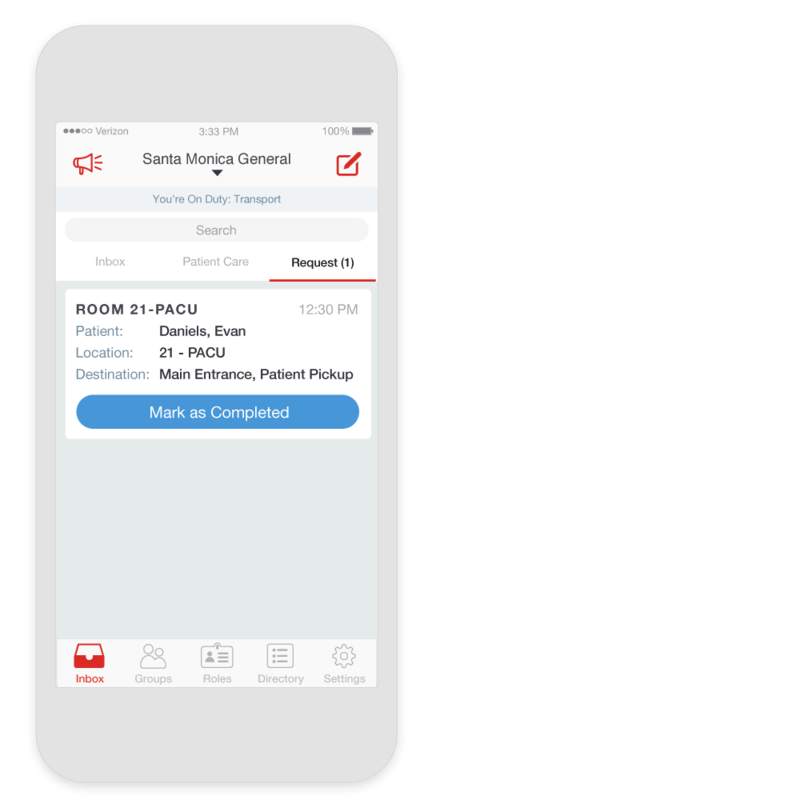 TigerFlow integrates with your existing RIS/PACS and LIS so MRIs, CTs, X-rays, critical lab results and more can be viewed instantly from a smartphone or PC. 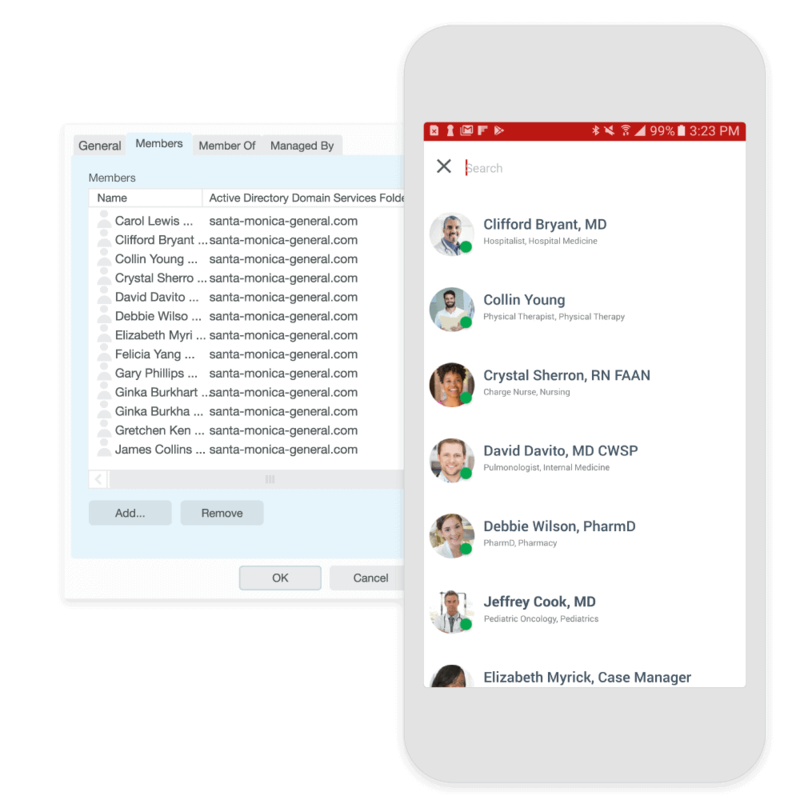 Alerts can be routed to individuals, specific roles, or groups to ensure the entire care team is kept in the loop. 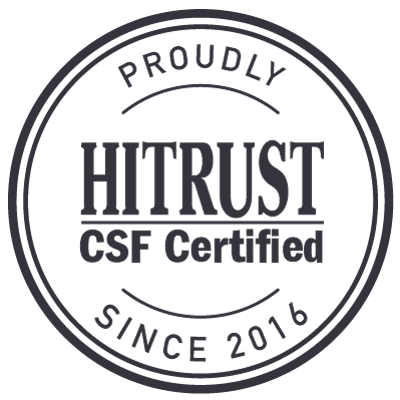 As the industry standard for interoperability, HL7 integration is core to TigerConnect’s centralization of patient data. 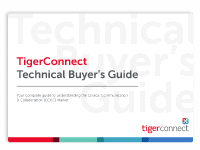 TigerConnect integrates with major HL7 vendors so that critical alerts, radiology images, lab results, and others can be routed in real time the moment a result is available in the EHR, accelerating response times and saving valuable steps. With security always a top concern for IT, keeping logins behind the firewall can limit risks while reducing the toil for users of logging in repetitively to commonly used apps. TigerConnect supports existing SSO solutions, such as SAML, and Windows authentication, saving time and improving staff satisfaction. Too often, call center agents send messages into the ether, awaiting a reply and not knowing if their message was received. 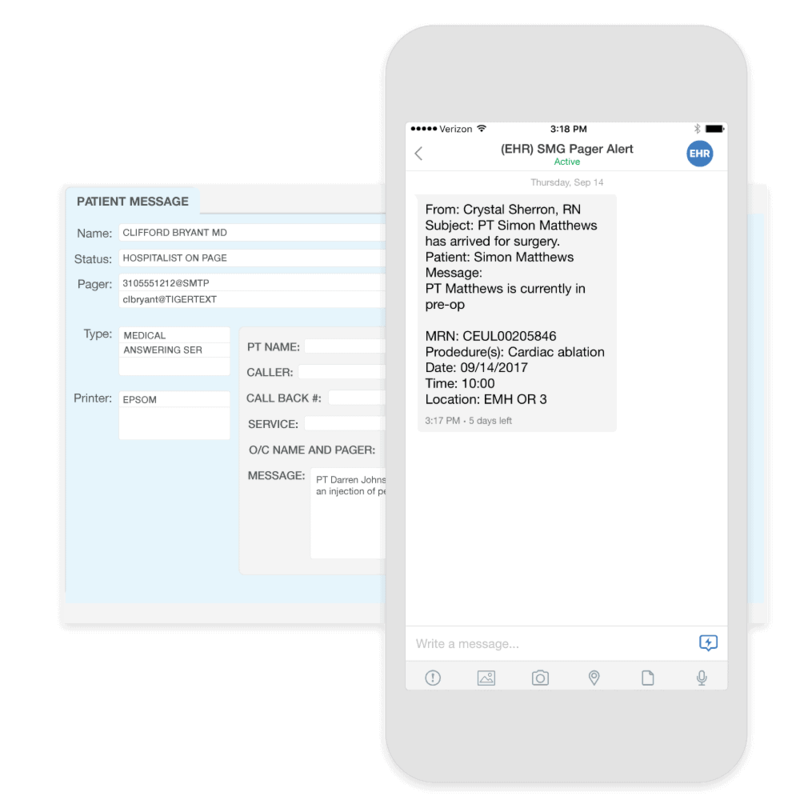 With TigerConnect’s answering service integration, call center agents can share greater levels of detail about a request, including photos or documents, and see instantly when their message has been delivered and read, and if needed, reroute the message to another contact. With TigerPage, you can save your teams from carrying two devices and relying on outdated technology. 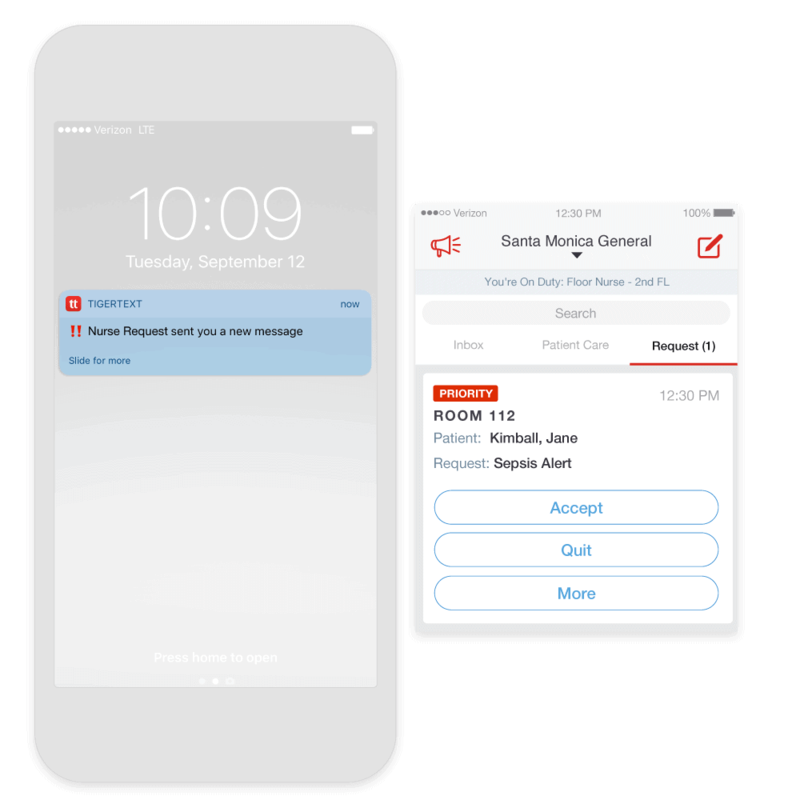 Our simple integration lets you redirect pager alerts to the TigerConnect app, and include a voice recording as an attachment. Users can even keep their existing number. 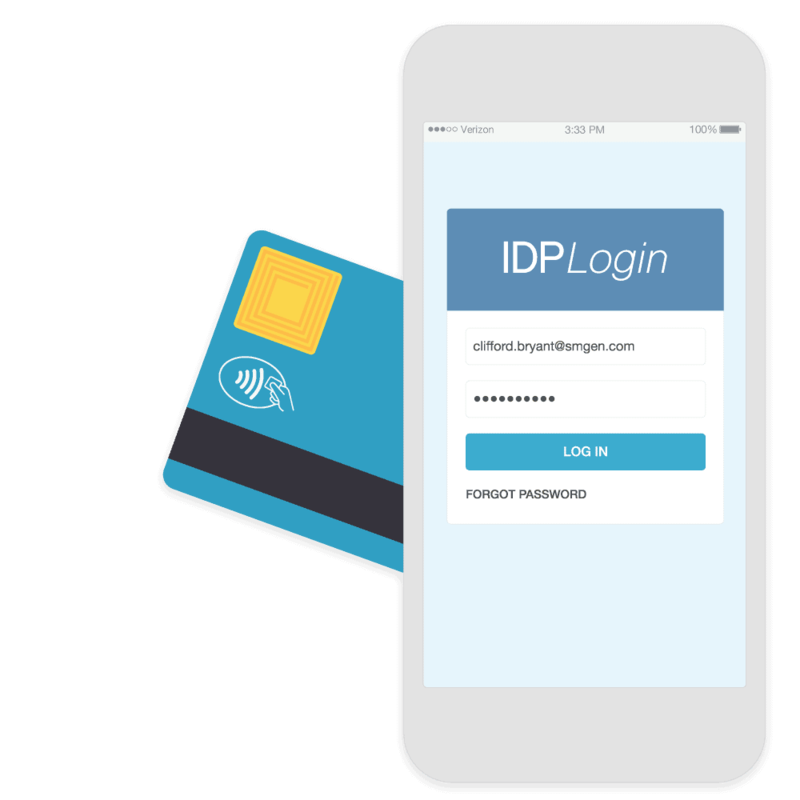 Use your existing LDAP or Active Directory system to onboard users and automatically manage their access on the TigerConnect app. Batch upload users directly into the TigerConnect’s admin console. Users added or removed are instantly added or removed from the TigerConnect directory saving IT time and effort.